Guerlain Météorites Voyage powder corrects and illuminates the complexion with an ultimate radiance thanks to ultimate mix of colour expertise and luxury formula. The precious and refillable case holds an exceptional blend of 5 different colours of micro pearls, hand-made and compacted by Guerlain’s craftsmen. The universal harmony, perfect mix of correcting and illuminating shades, adapts to all skin-types. The creamy texture perfectly melts with the skin that instantly appears softer. A true radiance booster, the “ultimate colour corrective” nacres refresh dark zones and catch the light on rounded zones. 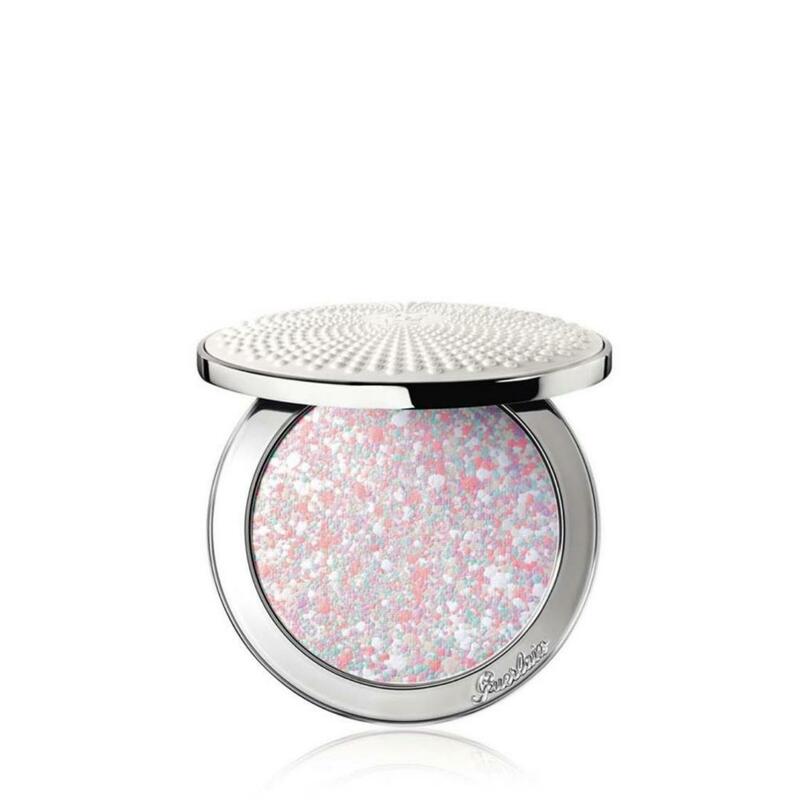 Combined with a high level of Stardust technology, a diamond powder encapsulated in microspheres, they create a soft-focus perfecting halo. A delicate violet fragrance, inimitable and totally addictive. Use Météorites Brush to apply evenly to the entire face to fix make-up and improve hold. For a greater boost of radiance, highlight the cheekbones and other prominent parts of the face: trace a G from the centre of the forehead, towards the top of the cheekbone, then from the bridge of the nose towards the chin.